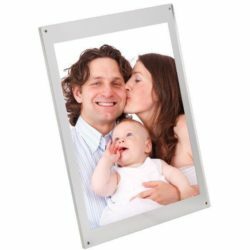 Upright leaflet holder is an ideal plastic frame for prints. 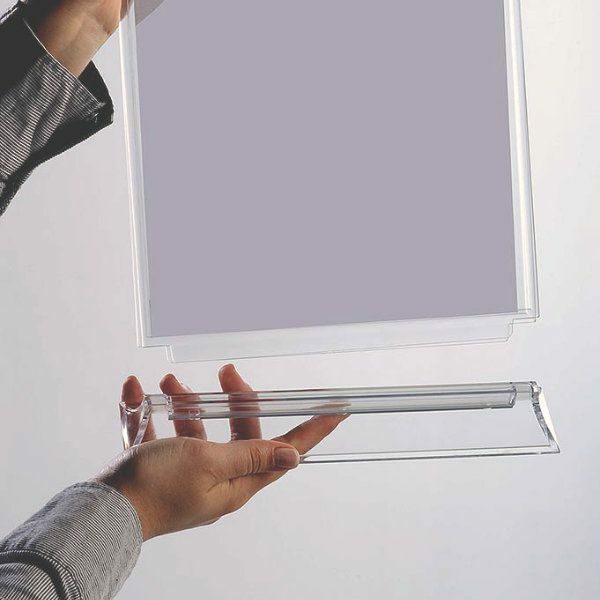 It serves as a menu holder or frame for advertisements. 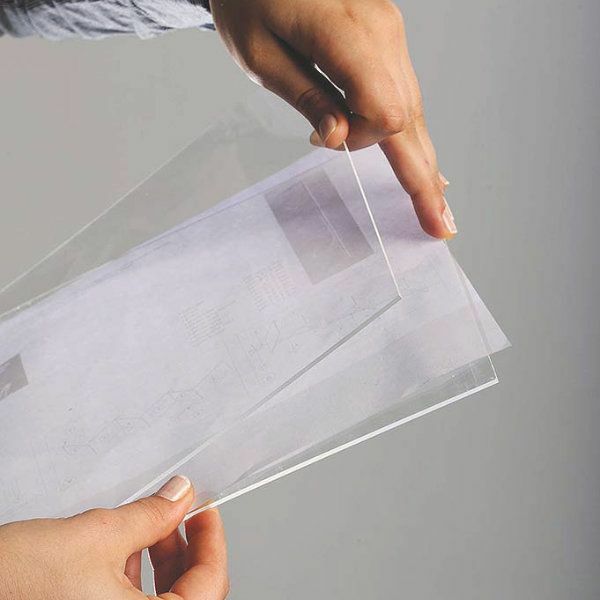 It’s a light weight and double sided unit. Prints are easy to change from top and sides. ACRYLIC SIGN HOLDERS Acrylic brochure stands have to meet some basic needs; they should be lightweighted and double sided, the prints inside should easily be changed, and most important of them all brochure Holder for tabletops should be inexpensive at the same time. 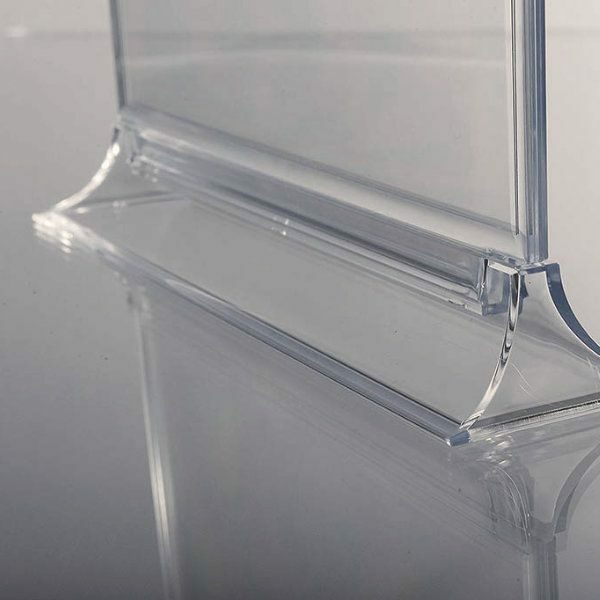 Well, these tabletop displays are! 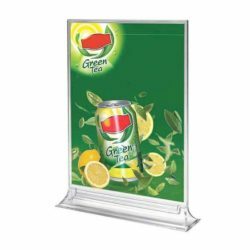 These acrylic literature displays are injection-molded and are cost effective alternatives to aluminum frames. And what is more, you can purchase these acrylic brochure stands in bulk for even lower per-unit pricing. 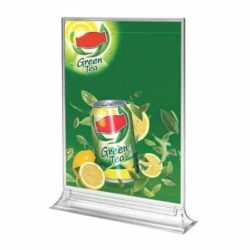 Either use them as menu holders at a restaurant or as acrylic sign holders to announce your beverage specials at a bar, these upright table tents are ideal for any environment for any occasion. 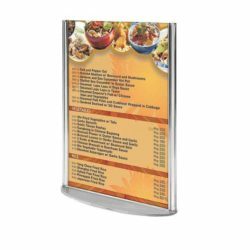 To name it: restaurants, retail stores, information centers, banks and officesÉ These affordable display holders are suitable for 4″w x 6″h graphics. 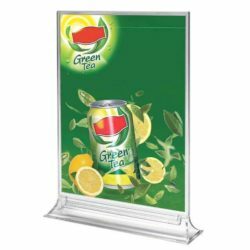 You can place the same graphic on both sides or you can choose to display different graphics back-to-back; like drinks on one side, food on the other. What you put is up to you. 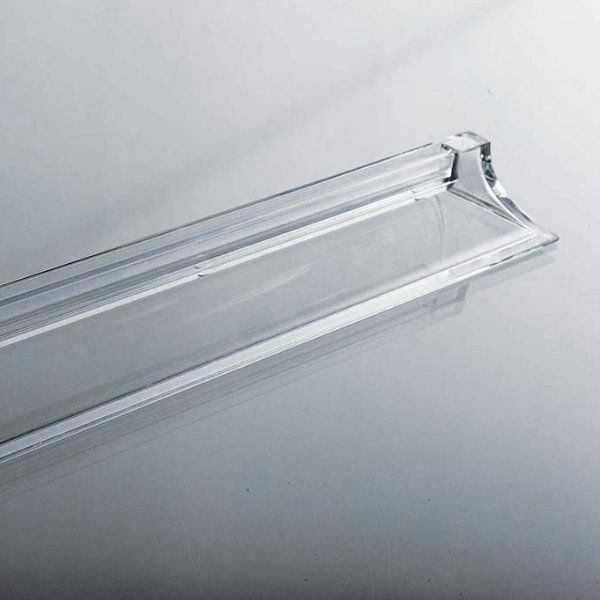 Your only limit is the thickness of the sign channel. 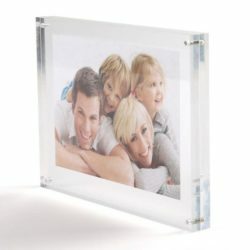 Cause it is very quick and easy to insert the graphics from the open top and side between the two plastic panels and change them whenever you want. They also come in other sizes in short lead times. 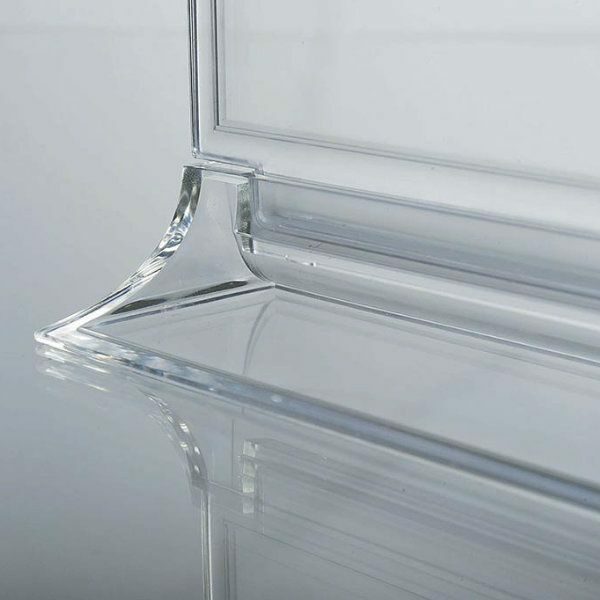 Purchase function, quality and price advantage at the same time!